Okay, so we realize that temperatures are not exactly scorching out there just yet. That being said, June will be here before you know it, and it’s not much longer before your air conditioner is back into regular rotation once again. 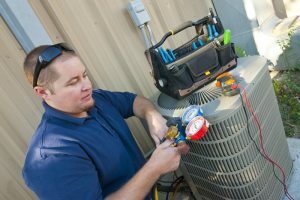 If you need a new air conditioner installed, either in a new property that is going up or as a replacement for a worn out old system, you don’t want to cut things too close timewise. That being said, you also definitely don’t want to be rushing through your air conditioning system installation. 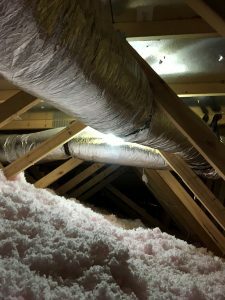 There is a lot to consider, even in the event that you are replacing an old system in a house that you’ve been in for some time. 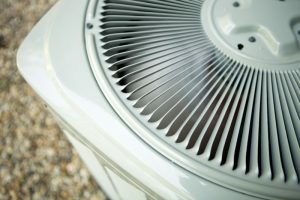 Whether it’s your first AC installation you’ve navigated on your own or you are an old pro, you need to take some time to get everything squared away if you want a truly smooth air conditioning installation in Grand Rapids, MI. In an area with a very hot climate for a lot of the year—think Arizona, for instance—the idea of making do with window unit air conditioners is not one that most people would entertain. Here in Michigan, however, the heat of summer is neither as extreme or as longlasting. So that means that you can probably get by with just popping in a few window units, right? Wrong. We still have to tell you that a whole-house cooling system is definitely the way to go. 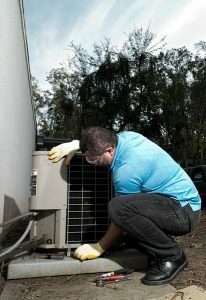 We install and service central air conditioners in Grand Rapids, MI. If you have yet to take advantage of all that these systems have to offer, then we strongly recommend that you start doing so before the real heat of the summer season arrives. Just keep in mind the fact that a central air conditioner installation is not something that you can handle on your own. You’ll need a trained professional to do the job, and our technicians are the ones that you can trust to do it right. Heating, ventilation, and air conditioning (HVAC) systems can differ quite a bit in build, fuel type, special features, and efficiency rating. 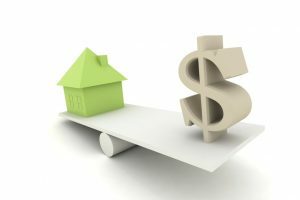 But one difference between systems is perhaps more important than any of that—but often overlooked by homeowners. People want the cheapest, the most efficient, or the system with the best automated features. What they don’t often discuss is sizing. Sizing is key to the operation of your home HVAC system, whether it’s a central air conditioner, a heat pump, or a furnace. Sizing can make or break a new system, so do your research (with the help of our experts) before diving into a new installation.